Scraps to Soil is a new home composting & worm farming workshop program that teaches you how to compost in your home and turn your kitchen and garden scraps into amazing food for your garden and soil! The workshops will cover the basics of getting started with composting and worm farming at home and teach you how to create rich compost to make your garden grow! You will learn about the value of composting, setting up, managing and maintaining your new compost bin or worm farm, ingredients and how to use compost products as well as troubleshooting, so you are ready to create your fantastic compost at home. 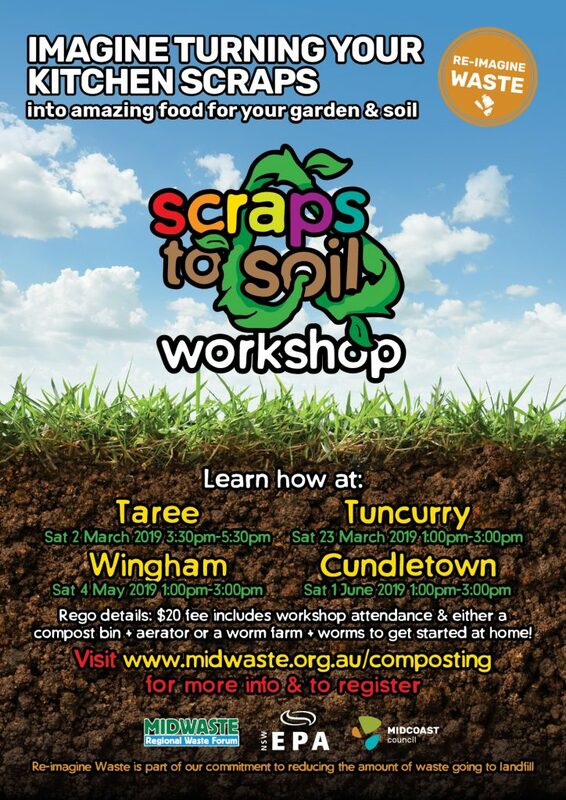 Go to www.midwaste.org.au/composting now to book your spot!